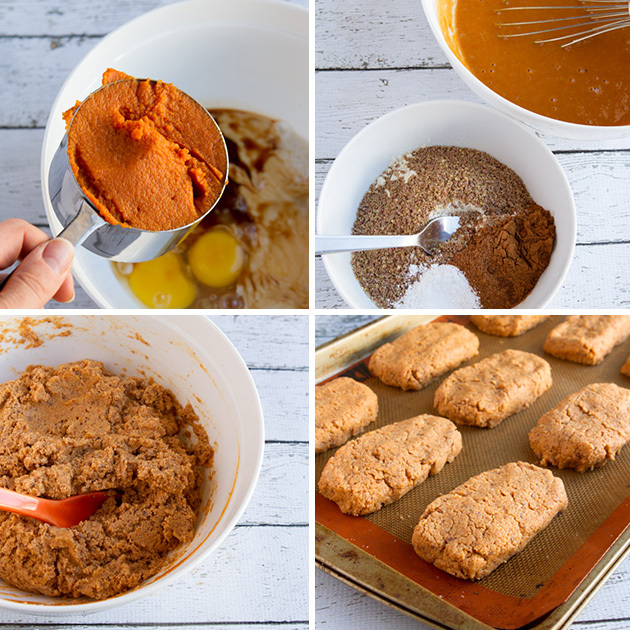 Moist grain-free (and paleo!) 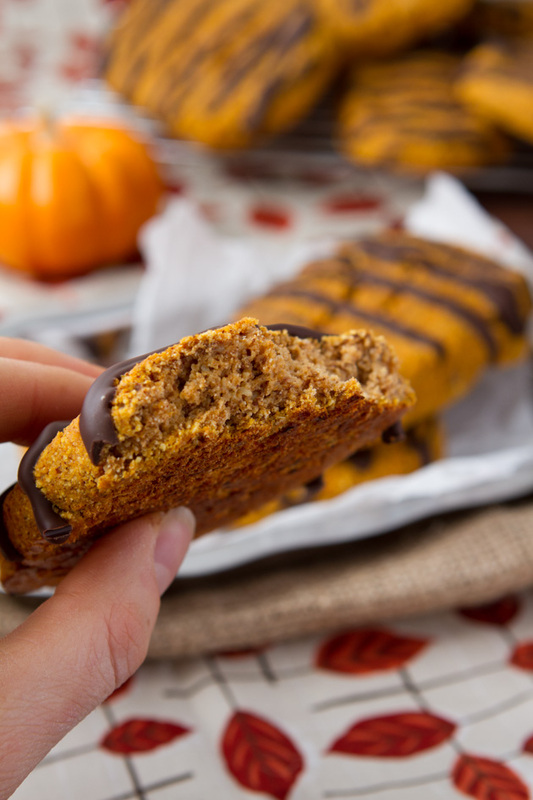 protein bars made with pumpkin puree, protein powder and magnesium, drizzled with a healthy layer of melted chocolate. 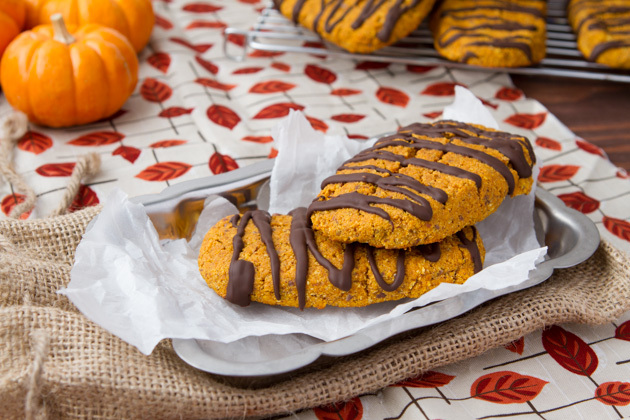 This week is all about the pumpkin! We’re kicking things off with two recipes today (I’ve included a new Pumpkin Latte Smoothie recipe at the end of today’s post… don’t miss it!). If your hands aren’t already a light shade of orange, they’ll be there by the end of the week, for sure. Remember the Lemonade Ice Cream and Caramel Apple Cupcakes that I made with Natural Vitality products earlier this year? Natural Vitality liked the recipes so much, that they’ve asked me to make MORE healthy recipes for our community using their entire line of nonGMO, vegan, gluten-free and paleo products. First up, Natural CALM. It’s a powdered supplement that can be added to water, smoothies or juice. At home, we use it to calm our muscles and relieve stress but it’s also great for the maintenance of your skeletal system and healthy blood flow. 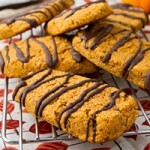 Go to their blog, Natural Vitality Living, for my Oil-free Chocolate Pumpkin Protein Bar recipe. Don’t have Natural CALM on hand right this very moment? You can replace it in the recipe for an equal amount of extra protein powder or you could try an equal amount of cocoa powder. 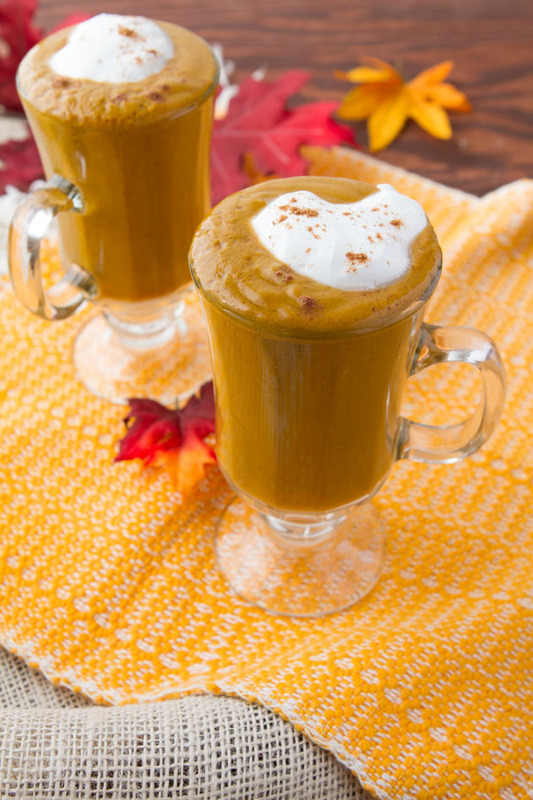 Continue scrolling down for the Pumpkin Spice Latte Smoothie recipe…. Goodness, gracious these bars are deeeeelicious! 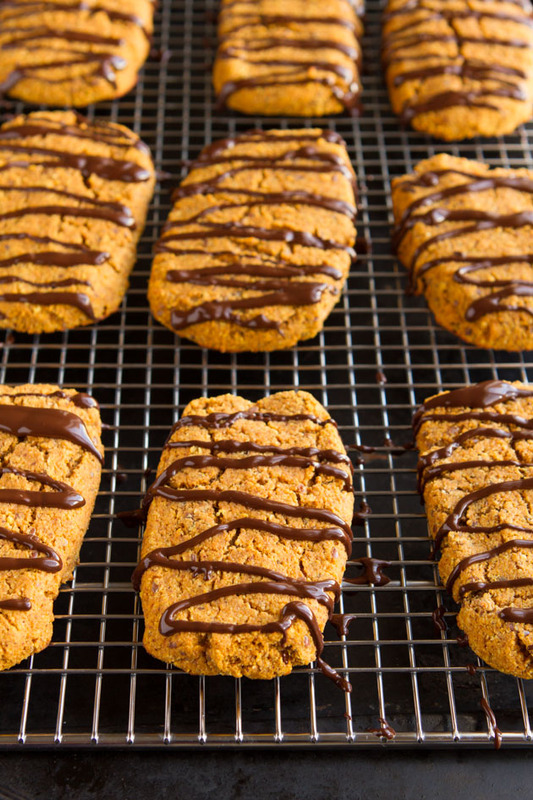 Very similar to my Oil-free Carrot Cake Protein Bars. 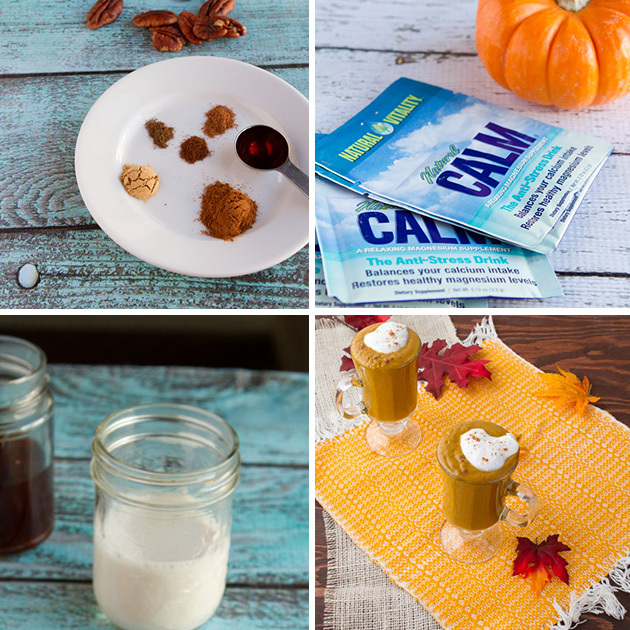 Everything you love about pumpkin spice latte, minus the dairy, artificial colors, flavors and refined sugars. Add all ingredients to your high-powdered blender and blend until smooth, about 1 minute. Pour into a glass and top with coconut cream, a dash of ground cinnamon and serve! Maple Syrup - feel free to replace with whatever sugar you have on hand. Alternatively, 2 medjool dates could be used. Coconut Cream - is full-fat coconut milk, chilled overnight with the thick "cream" removed from the can. Natural Calm - if you don't have it on hand, feel free to use 2 scoops of vanilla protein powder or omit completely. This post was sponsored by Natural Vitality. All opinions expressed herein are those of Healthful Pursuit Inc. and are not indicative of the positions or opinions of Natural Vitality. Thank you for supporting the brands that I believe in and choose to feature here.